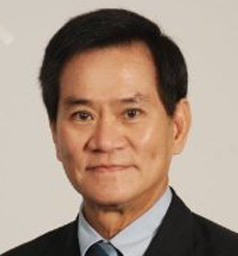 Prof. Worsak Kanok-Nukulchai is the 7th President of the Asian Institute of Technology, Thailand. He is the first AIT alumnus, first Asian and first Thai national to be selected as the president of AIT in its fifty-seven year history. Prof. Worsak received his Ph.D. in Structural Engineering and Structural Mechanics from the University of California at Berkeley in 1978 as a Fulbright Scholar. He has been in research for more than 30 years in Computational Mechanics and has published more than 240 papers. His current interest is given to meshfree methods based on Kriging Interpolation. The use of Kriging Interpolation in conjunction with layered domains of influence helps extend the power of finite element beyond its limits. This results in smooth and very accurate solution for both displacement and stress fields. His other current interest is also structural health monitoring. Based on this research, he has introduced a so-called Global Flexibility Index (GFI) that can be used to monitor the global weakening of highway bridges. In 1997, he was inducted into the Royal Institute of Thailand. In 1999, his software package, Microfeap, earned wide-spread users in the region and earned him an award from the National Research Council of Thailand. In 2006, the International Association of Computational Mechanics (IACM) awarded him the IACM Fellows Award for his distinguished research accomplishment in computational mechanics. In 2008, he was recognized for his international contribution, he received the First Nishino Medal in the East Asia-Pacific Conference of Structural Engineering and Construction (EASEC) in Taiwan, an award in memorial of the late Prof. Fumio Nishino. 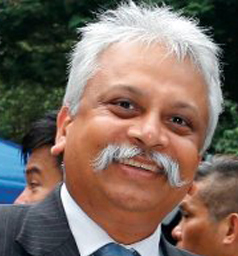 He has also been very active in many professional organizations worldwide, notably serving in the Council of the International Association of Computational Mechanics (IACM), the Board of Directors of Japan’s International Construction Technology Information Institute (ICTII), and as Vice President (Asia) of the Global Alliance for Disaster Reduction (GADR). 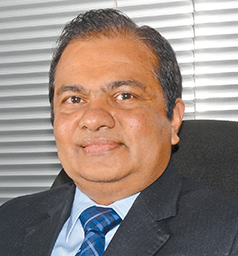 He has served as Adviser to the Minister of Transport in 2002 to 2005, Member of the Board of Directors of Expressway Authority of Thailand in 2002 to 2005, Member of the Board of Directors of Airports of Thailand (Public Company) in 2005 to 2006, and two-time Vice President of the Engineering Institute of Thailand (EIT).